For some coaches, associate work in coaching and/or training is ideal. The coach doesn’t have to do any marketing whatsoever, they can simply pitch up and deliver and they get paid to do so. I spoke to a coach recently called Hazel, who had been in this situation for a few years and was extremely comfortable. She delivers executive coaching for the company with whom she was an associate. However, something outside her control has changed recently and her previously well-paid and comfortable life is changing, and not for the better. The company for which Hazel is an associate, has had a change of staff. The chap that distributed and scheduled the associate work had gone on to pastures new and a new hire has arrived in his place. The new employee Brad, comes from their main competitor and had brought with him his little black book of associates. He’s been working with these associate coaches for several years, he knows them and trusts them. Hazel on the other hand is an unknown quantity. Yes, she’s been there for ages and yes, clients love her and ask for her, but to Brad, she’s an unknown. The changes to Hazel’s schedule have been subtle, but they’re there. She discovered that her favourite coaching clients had asked for coaching for additional staff, and Hazel didn’t get the work. In fact, they’d actually asked for Hazel and been told that she wasn’t available. Of course the reason that I can even write this article is because Hazel contacted The Coaching Revolution. She told me that she’d become so comfortable with the associate work she’s had that it had never even crossed her mind that she has all her eggs in one basket. Even more importantly, it had never crossed her mind that anything might change. She wants to start looking at creating her own portfolio of clients, by building her private coaching practice so that nothing can rock her world so unexpectedly again. Interestingly, it turns out that at his old company, Brad had a coach disappear and take their biggest client with them, so he finds it easier to deal with coaches he knows and trusts. There’s no way Hazel could have either known or anticipated this. I’ve been reflecting on this and similar conversations. I can absolutely see the attraction of associate work. No marketing or sales work to do, you just turn up and coach. However, the risks are there, no matter how secure you might feel. 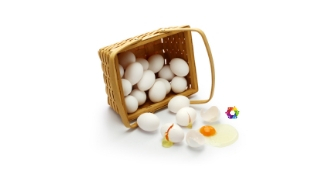 Associate work is great as part of a portfolio coaching career, but having all your eggs in one basket can leave you open to outcomes that you didn’t anticipate. The allure of being able to coach without having to do the sales and marketing work is easy to understand. Most coaches are pretty clueless when it comes to understanding how best to market their coaching business. However, marketing and sales are skills and like all other skills (including coaching) they can be learned. In fact, The Coaching Revolution can teach you how to market your business in a lot less time than it took you to gain your coaching qualification! Want to talk? This is my diary. If you’re wondering what we look for in mentees, you can find out more here.